A new swim spa installation can benefit every member of your family. After you have worked with your swim spa contractor to install your new unit, however, you will need to make sure that you stay on top of your pool or spa’s routine maintenance needs. If the thought of maintaining a swim spa on your own seems overwhelming, you can ask your swim spa contractor in Birmingham for assistance. There are a few common signs that your swim spa needs attention from a licensed swimming pool repair technician. 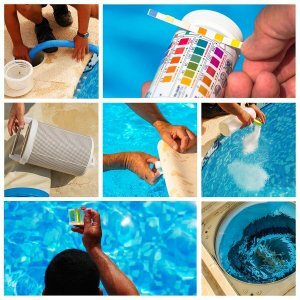 When you neglect pool maintenance for too long, you may start to notice that your pool’s sides show signs of stains or damage. Debris floating in your pool water can also indicate a lack of proper maintenance. Finally, when your maintenance issues become too severe, you may also start to notice that your pool’s equipment starts to fail. By setting up professional maintenance services before it is too late, you can take excellent care of your pool.